Spending the past few days mainly on the couch thanks to a nasty bug has been a bit of a wake-up call. Firstly, I have learnt I need to invest in some better DVDs, and secondly, I need to make sure I am getting much more nutrients from my diet. My immune system has taken a big hit with this illness and I wanted to give it a little pick-me-up today, so I decided to make my first smoothie bowl. Now, I had seen some pretty sensational smoothie bowls floating around on social media lately but had never tried to make one myself. I kept it simple and used ingredients I already had in my kitchen, but I already have some ideas of what else I would add next time. To make the smoothie mixture I first crushed some ice cubes to make them easier to blend with our stick blender and then added them to the blender cup. Then I threw in at least a cup full of frozen berries. Finally I added in a little milk and started blending. As I went along I added more milk when needed to ensure a thick, but smooth, consistency. I filled the bottom of the bowl with some delicious muesli from The Muesli Bar, before topping it with the smoothie mixture. 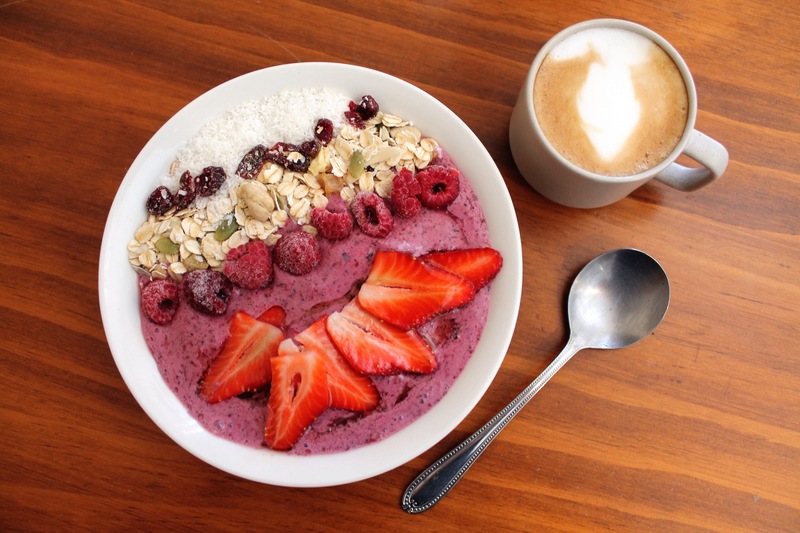 Then it’s time to decorate your smoothie bowl. I added a line of coconut, a line of muesli, a line of raspberries and a strawberry. To top it off I added a drizzle of maple syrup. It’s that simple. So have you tried making a smoothie bowl yet? If you have any ideas of what else I could add to the bowl I’d love to hear them so feel free to share.